Last week we spoke all about File Integrity, confidentiality and security. This week we look at the different record storage systems. The subject storage method is widely used in organisations. Filing by subject requires that each record be read completely to determine the subject which can be a time-consuming process. This method is difficult to control because one person may read a record and determine the subject to be one thing and another person may read the records and decide the subject is something entirely different. Example: One person who classifies records about advertising promotions may determine that the subject is advertising while another person may determine that the subject is promotions. The main subjects are indicated in the primary guides in first position. Secondary guides indicate subdivisions of the main subjects. A subject folder holds records for each secondary guide. A general folder holds other records for that subject that do not have enough records for a separate subject folder. A subject system can be direct or indirect access system. When the system is direct, the subject file is a simple one (with only a few subjects) and access can be obtained directly through its alphabetic title. Keeping the subjects in alphabetical order is necessary. Most subject systems are more complex and require some type of index. An index is a listing of the names or titles used in a filing system. Without an index, it is almost impossible for the subject storage method to work well. The index may include several levels. The alphabetical storage method uses the letters of the alphabet to determine the order in which a record is filed. 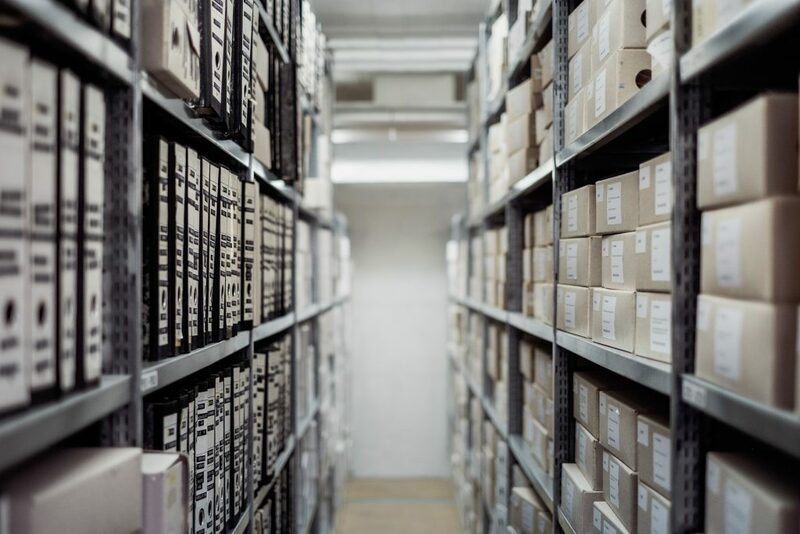 This is the most common method used for storing records. Records are filed according to the Filing Rules and Standards discussed later. Special guides used to lead the eye quickly to a specific area of the file are in second position. A general folder holds records for names that do not have enough records (usually three to five records) to warrant an individual folder. Records in the folder are arranged alphabetically. If there are two or more records for the same name, the records arranged by date with the most recent date in front. Accession log (a file containing a list of the numbers that have been used. When a document is ready to be filed, the alphabetic index is consulted to get the number that corresponds to the name by which the record is to be filed. If it is necessary to establish a new numeric file, the accession log is consulted to determine the next number to be used. In the consecutive storage method, also called serial or straight number filing, each digit is an indexing unit. The first digits of a number are compared to determine filing order. When the first digits are the same, the second digits are compared and so on. The numbers used may be part of the record itself, such as a number on an invoice, or the number may be written on the record. As each new record is added to the system, the number assigned becomes higher. The terminal-digit storage method is another variation of numeric filing. In the basic numeric method, as the files increase, the numbers assigned become higher. Each new file needs to be placed behind all the low numbered files, which means that the file arrangement expands at the back. This arrangement can be inconvenient. One alternative is the use of terminal-digit filing in which a number is divided into three groups of digits. Example: 129845 becomes 12-98-45. By adding zeros to the left of a smaller number, three groups are created. The number 68559 becomes 06-85-59. The purpose is to indicate primary (first), secondary and tertiary (final) groupings of numbers. These primary, secondary and tertiary numbers tell the location of the record. Which one do you think would be the best in your office.